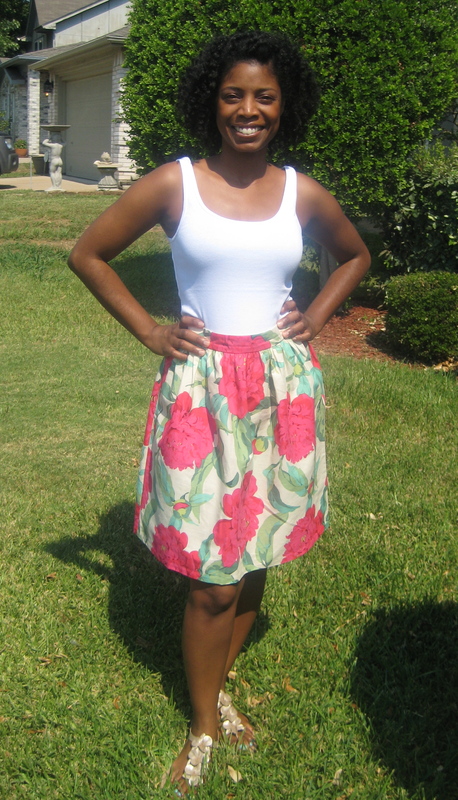 Like practically every other sewing blogger out there, I made a version of Vogue 9253. This turquoise and pink African Cotton Print I picked up in New York wasn’t my original idea for the dress but I wanted to make it before summer was over and decided to start with this fabric. I didn’t want the v to be as deep as the original pattern so I heightened it by a few inches and created a facing to finish it. I forgot the pattern has a seam down the middle skirt and that did throw me for a loop since my fabric kind of needed to be matched due to the print. Things didn’t add up perfectly for the front and back but I’m working on embracing my sewing imperfections. I could have shortened the back just a tad now that I look at the photos of the back. At first I thought this dress looked like hospital scrubs on me. It was too long and the sleeves were just not a good fit. I cut off about 4-5 inches from the hem and a few inches from the sleeves and I like it better this way. I made this dress about 2 months ago and have worn it 3 times. Each time I wear it I get so many compliments! I do like it and think I would use the bodice again for another dress sans kimono sleeve as the bodice fit really nicely. I’m not quite sure if I would make another one of these but for now I’m pretty pleased with the outcome. I paired the outfit with from shoes from Ann Taylor and my Kate Spade bag. I’ve decided it’s time for my blogging break to be over. I’ve learned so much since my last post almost 2 years ago and it’s so exciting! Honestly, I’ve just been too lazy to post anything and I’ve been sewing at such a slow rate. Also, my computer has been giving me the blues, so there’s that too. Anyway, the only way to get better is to sew, post and get/give feedback so here I am! Thanks for reading! Foray into baby clothes with African wax prints. 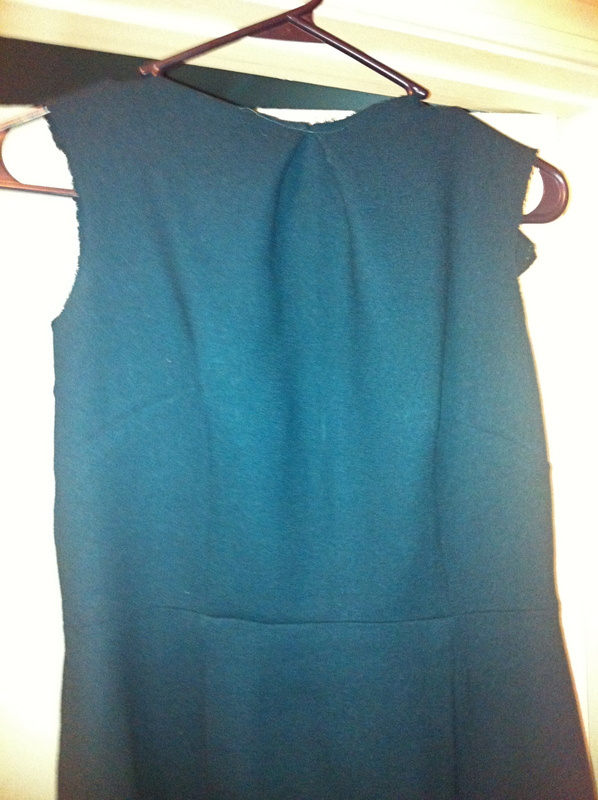 First version of Butterick 5950 in some poor quality ponte from Joann Fabrics. After 3 iterations and altering the pattern, this is now my first TnT! My most recent make ( March 2015) is Vogue 8787 with sleeveless modification in brown ponte. I’ve made a short set! 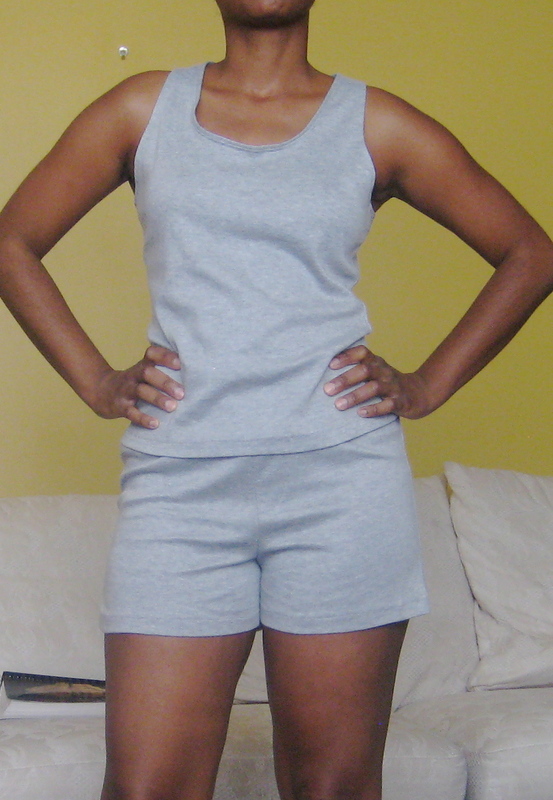 A few weeks ago I attempted a short set/lounge wear from some unidentifiable knit material I had hanging around. It needed to go to make room for the fabulous new eyelet material I just got from fabricmart. Can I tell you that I LURVES it??!! :-). The tee, as cut, was too big in the chest area. I guess I thought b/c it was knit, it would conform to my body. It did not. The crotch is too short! UGGGG. ( I think the last time I attempted pants or shorts of any kind was in high school and I can see why now. I had trouble with the elastic waistband. I may or may not have cut the wrong size elastic. Who can tell? Regardless, it could have been much looser. I followed the pattern measurements and instructions ( albeit loosely) but I can’t figure out if I need to use a different pattern or if it really was my error. There were more problems but those were the major ones. Even so, I washed them several times, put them in the dryer ( what was I thinking? Now they are even shorter. Oye.) and wore them. Anyway, I wore them all day a few days ago and as long as I was sitting, everything was comfy but that dern crotch gave me the blues. I’m still glad I made it. It felt good learning new skills. I will definitely attempt this again as I need more comfortable loungewear. Working with a different type of knit ( this material unraveled very easy and did not have a ton of give- IDK what type of knit it was). I learned that I should serge all my pieces up front regardless of what type of garment it is. You’ve probably gathered that I did not do this :-/. How to make a racerback tee. I will probably keep wearing the top even though it’s a little too big. The shorts tho? Err, prolly only as a last resort :-). Have you made loungewear before? I learned to thread my SERGER! ( All of the rainbow colored thread the machine came with ran out leaving me in complete panic. LOL. Thank you youtube for helping me b/c the DVD tutorial was COMPLETELY useless. Brother, you should be ashamed. Very ashamed). 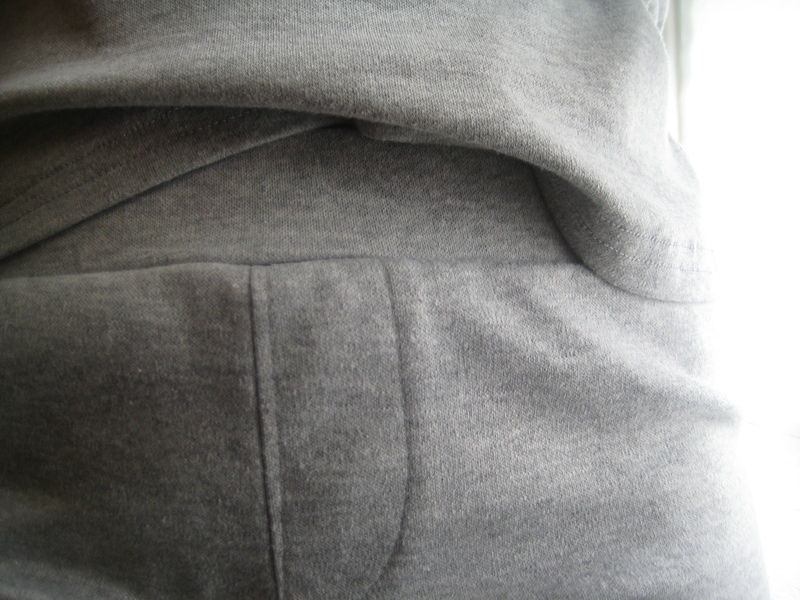 I tried a new waistband technique in which encloses the zipper in the waistband at the back. I got the tutorial here. I really like this technique and think it makes the skirt look more professional. I stitched in the ditch for the waistband. Currently working on another full gathered skirt. This time I didn’t use the exact measurements Gertie gave. I had some fabric I wanted to use and I did everything I could to make it work. 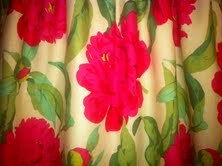 Here’s a pic of the fabric. I got it from B&J Fabrics in NY last summer. Once I’m all done I’ll post the finished version. I feel a little scared now that the flowers are too bright. ummmm! 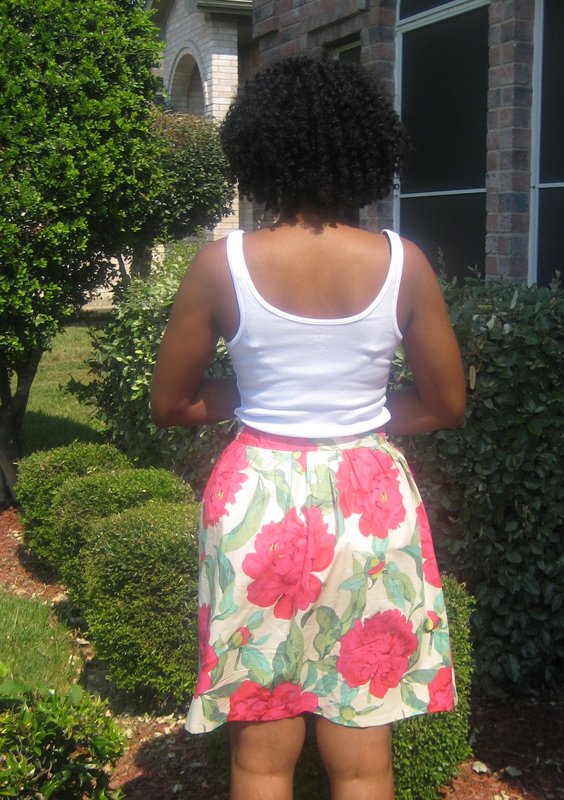 I recently finished the full gathered skirt. Yaaay for completed projects! I got this pattern from Gertie’s Blog. You can find the post here. It was fairly easy to make. Just 2 large rectangles and 1 skinny small one. When making up the skirt, I thought the first waistband ( made following the instructions exactly) would be too small after adding seam allowances so I made a bigger one. That one ended up being too big so I went back to the first one. 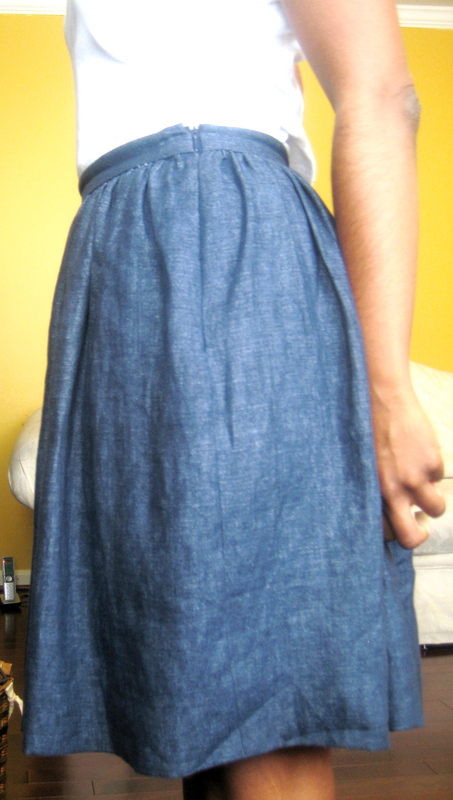 I made the skirt out of a heavy navy blue linen. I don’t think that was a good idea because the gathers were bulky and the seams were hard to press flat around the waistband. Also, the fabric stretched (A LOT) while pressing so the skirt ended up being too big. It also looks uneven when really it’s just too big and heavy. ARGH. Despite these issues, I am really proud of the skirt. I plan on sewing another one a tad shorter in a bold floral print ( I’d also love to do it in tafetta like Gertie). 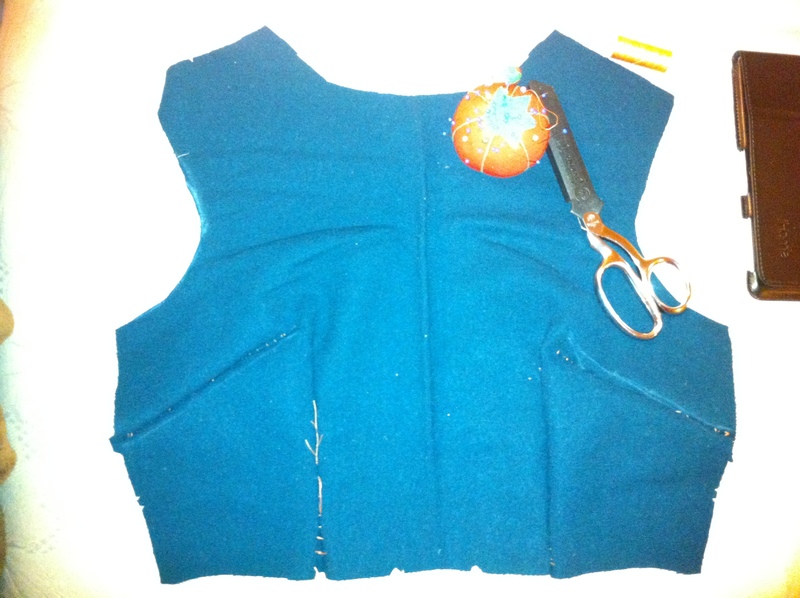 I think next time I will try this tutorial from Coletterie for the zipper/waistband insertion instead of the one Gertie uses. I want to see if it’s an easier and more professional looking finish. 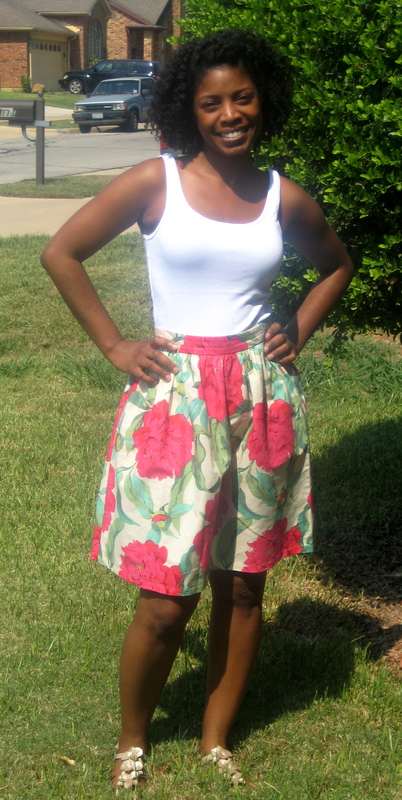 Overall, I’m pleased with the skirt as this was my first time making it. I probably won’t wear it much though because it’s simply too big and I don’t have the heart to pick it apart and start over. Let’s throw a party! Cuz why you ask? Well, this was the first time I used my new serger! ( Suuuper excited -can you tell?). I purchased a Brother 1034D and so far I lurves it. I’m scared as all get- out to change the thread so yes, my seams are finished with the rainbow colored thread the machine came with! Haha. Front View. 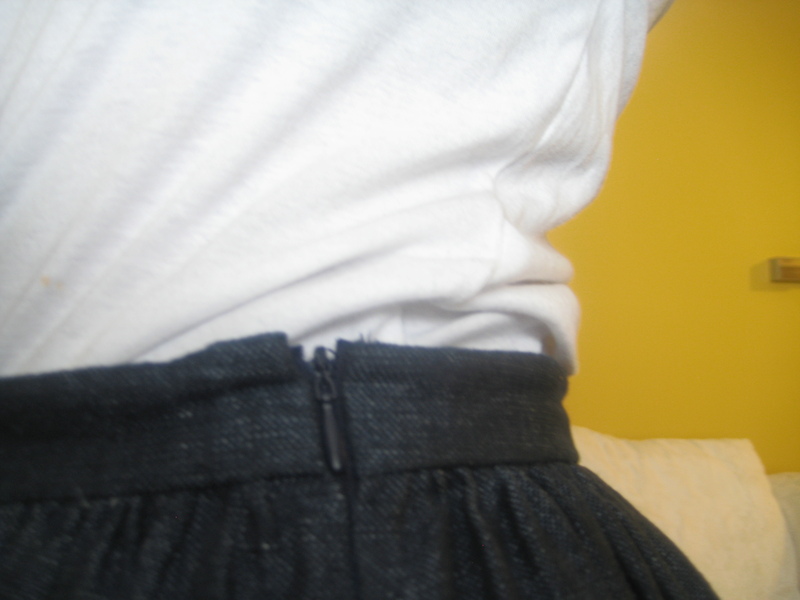 You can see the fabric was too heavy/loose as the waistband is sagging down in the front. The zipper- Somehow the iron stretched out the waistband so it’s not completely even. Bulkiness prevented me from making the top of the zipper invisible. Full view of the zipper. Mostly ok except for the waistband. (I love how my face looks so confused/concerned here! Ha). Had about an inch of extra room in the waistband. I’m ready for my next project!- perfecting the fit on shift dress with princess seams. Stay tuned for an update. Why have I not posted anything since February? Hmmm, well, let see;- um, life happened. LOL. Anyway, I have not one but TWO completed projects that I’m super proud of! 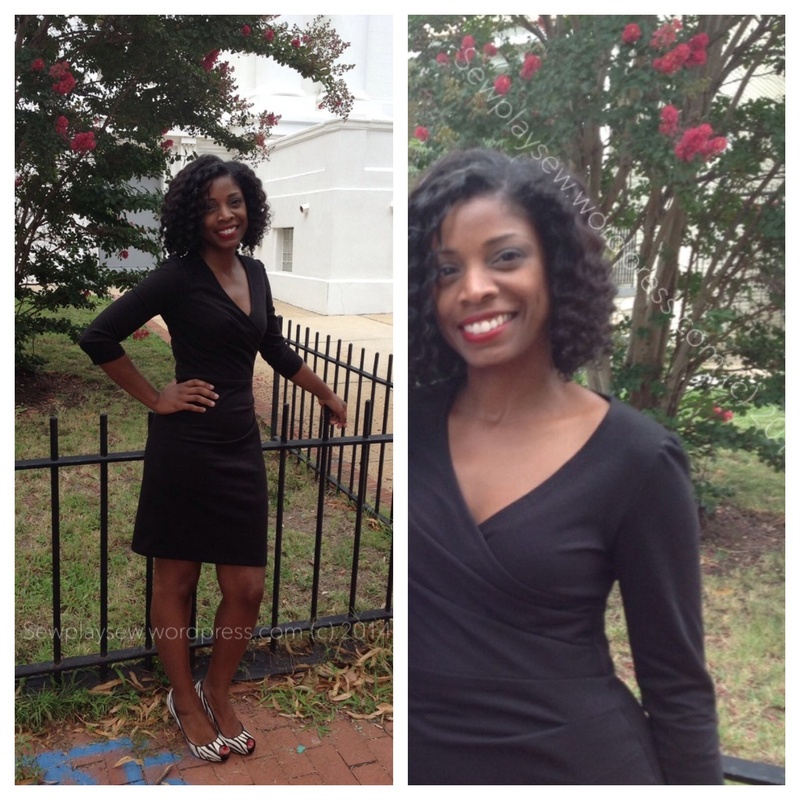 This post is about the Vogue 1314 Tracy Reese knit dress. 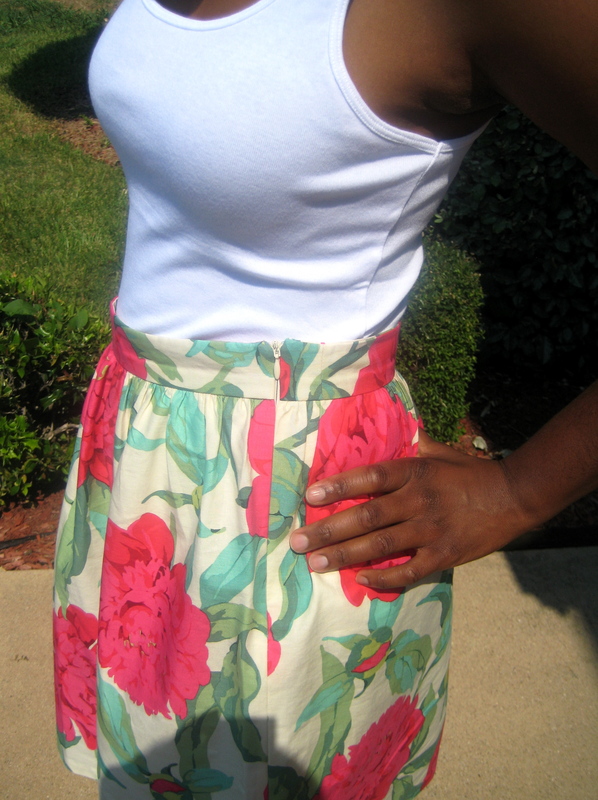 I’ll do another post on my gathered skirt. So let’s get into details. I’ve had this Tracy Reese pattern for over a year I’m guessing. 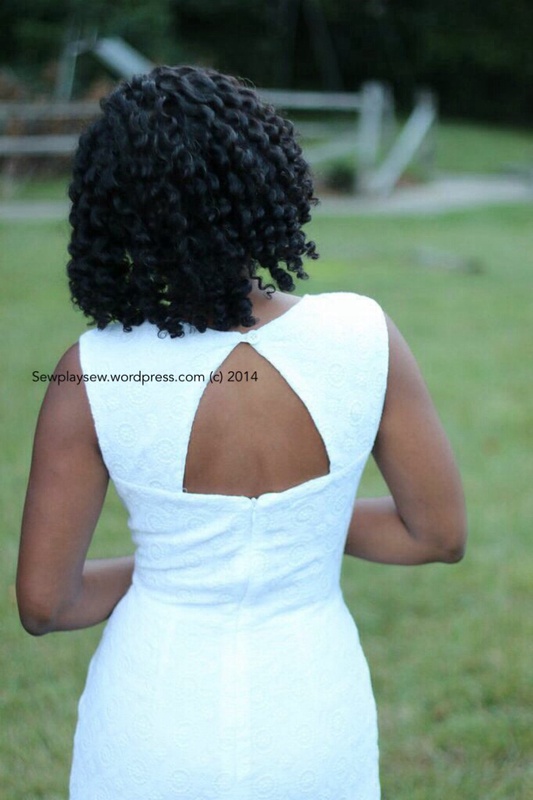 It wasn’t on my mind until I saw the version that Mimi G sewed on her blog. ( I can’t get the link to the actual dress but the post is dated August 20,2012). I realized I had the pattern and thought it seemed like an easy project to do. I should mention that easy things take me forever to complete and hard things. This was my first time working with knit fabric. I didn’t have a serger at the time and this fabrics cut edge was seriously curling up on me. I did a little research and realized it would sew better with a stabilizer. The pattern calls for stay tape which helped. I think my material was a little too stretchy though. I liked it without sleeves but added the sleeves just so I could follow the pattern exactly. I thought it would be a good experience. It was! 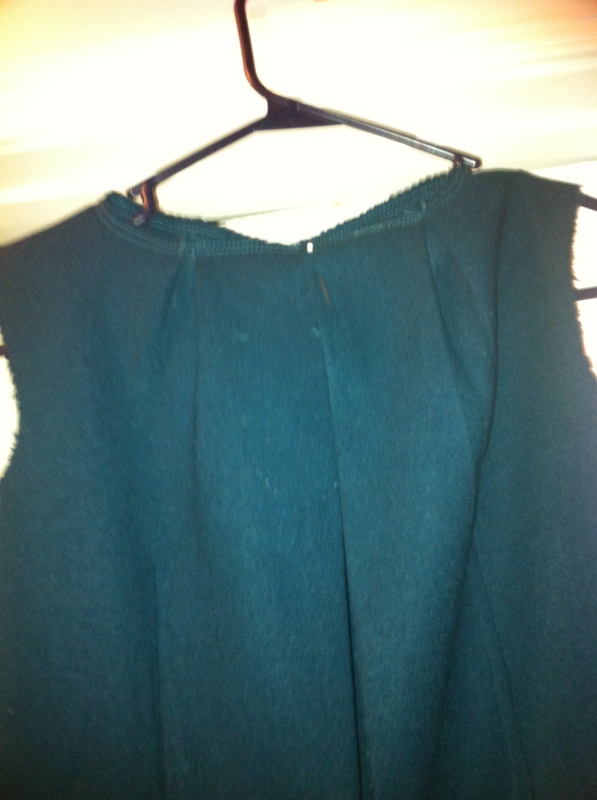 I learned the new skills of how to sew ruching, long sleeves and a neck facing thanks to this project. 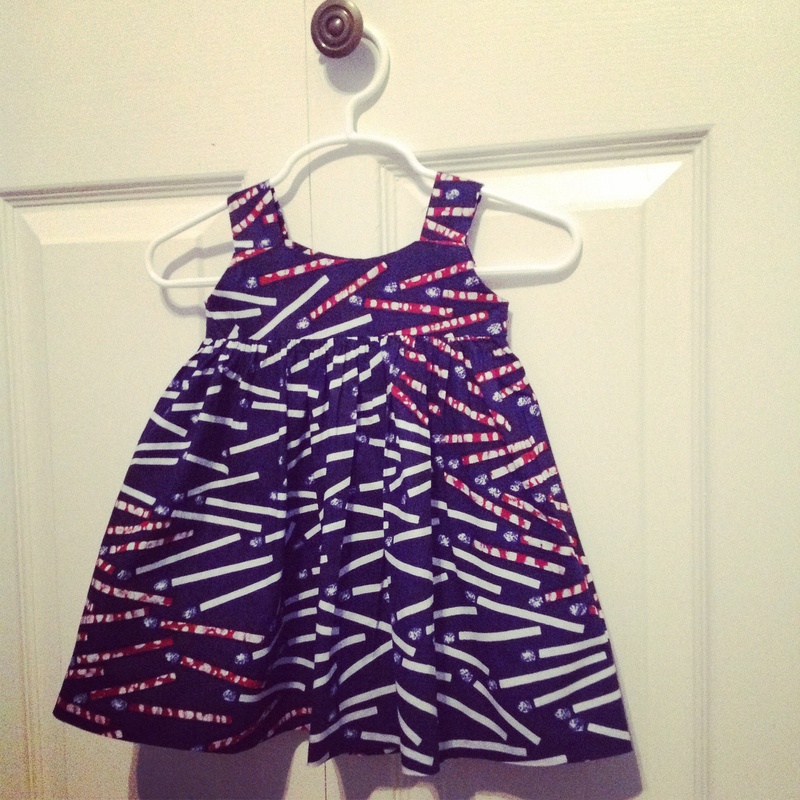 It took me about 2 weeks to make this dress- because I’m so S-L-O-WWWWW . I took my time and did a little bit every few days. 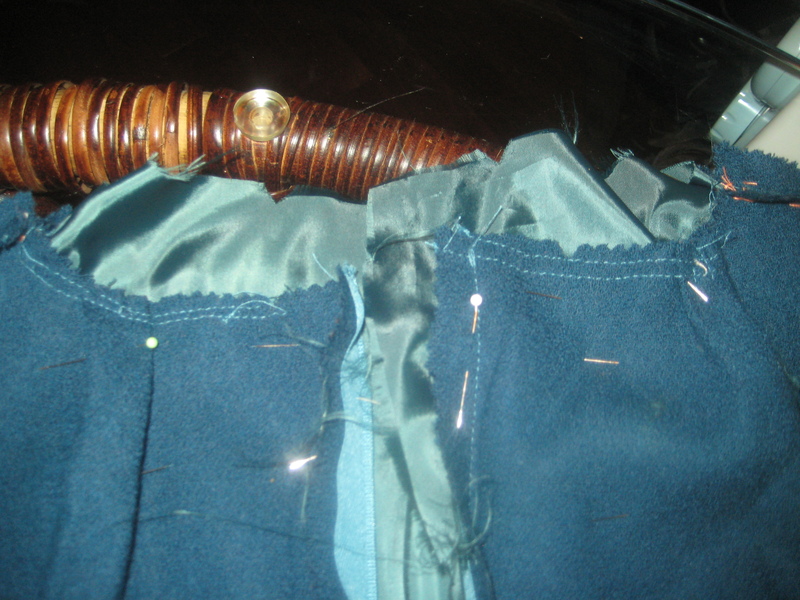 There was plenty of seam ripping as well as lots of dirty looks given to my machine. Getting the tension right was torture. I finally gave up and decided a good enough stitch would have to do. Overall, I like the dress and I’m proud of myself. The pattern instructions were pretty easy and besides getting used to the fabric rolling and stretching out all over the place, it wasn’t too hard. I wasn’t so fond of the fabric I used for this dress. I feel like if I wear the dress out, I may be mistaken for someone out of the 101 Dalmatians movie but it is ok b/c this fabric was purchased so I could practice sewing with knit fabric. I didn’t cut both pieces on the fold because I didn’t have enough fabric so there is a center seam down the back. Grrr. Oh well. There is a little pooling of fabric in the back or swayback anddd it’s a bit clingy for my taste. The biggest concern is that there is too much ruching which makes my tummy and waist look bigger than they really are. No bueno! I realize I just made that sound so much worse than it is, actually. I would definitely make this dress again with a few changes. First, think I would reduce the amount of ruching, second, I’d make it sleeveless, third, I’d use fabric with a little less stretchiness in it and fourth- use a serger to finish the seams. Did I mention I’m super proud of myself ( boast much?)!! Heh. I have to admit, I was close to finishing and just got tired and almost left it as yet another 1/2 finished project. Something told me to keep going and not be a quitter. So glad I did! Here I am again. Still pondering the mystery that is the shift dress. 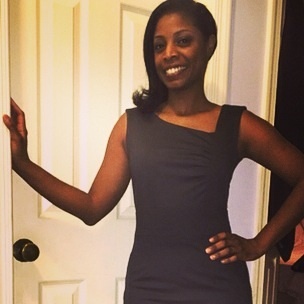 I will keep hashing my problems out here on the blog til I get some solutions! Am I the only one that has problems with darts? Seems like I can never get them even. Ever. 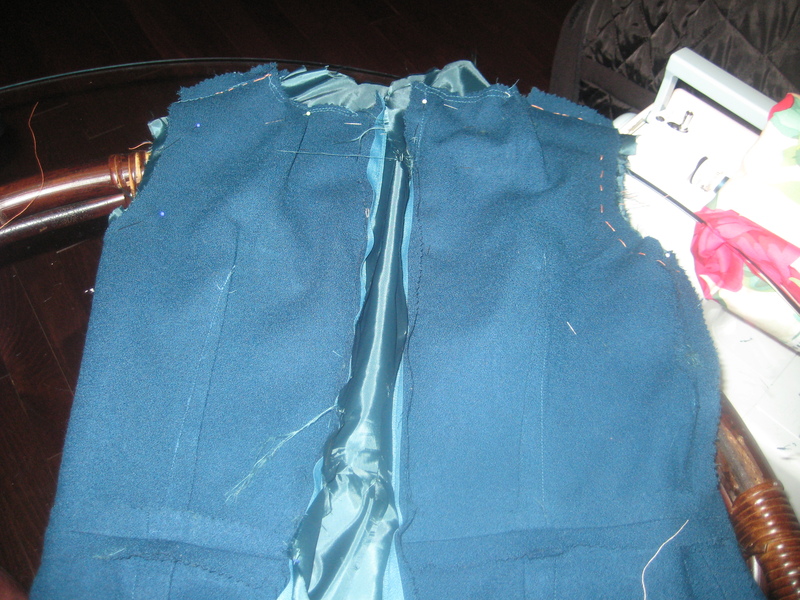 And I have a heck of a time lining up the darts when attaching the skirt front and back to the bodice front and back. ARGH. Part of the problem is that I’m a different size in the bodice than I am in the skirt. Something is not transferring right. I think the next pattern I’m going to look at will have princess seams. I wonder if that will work better. Hmm. Any ideas for how to consistently make sure your darts and seams line up when you are 2 different sizes? 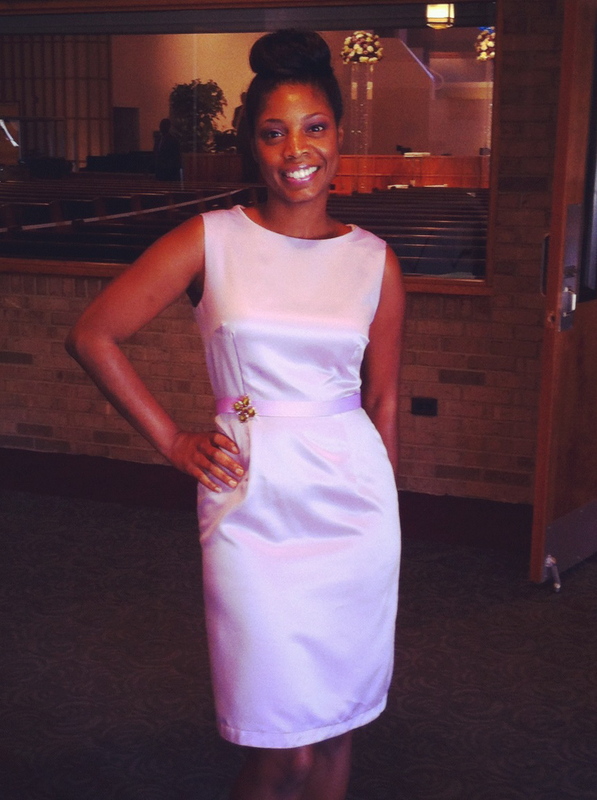 At the end of last year, I decided ( in order to improve my sewing skills and add much needed church clothes to my wardrobe) that I would make 5 shift dresses in 2013. That was my goal. 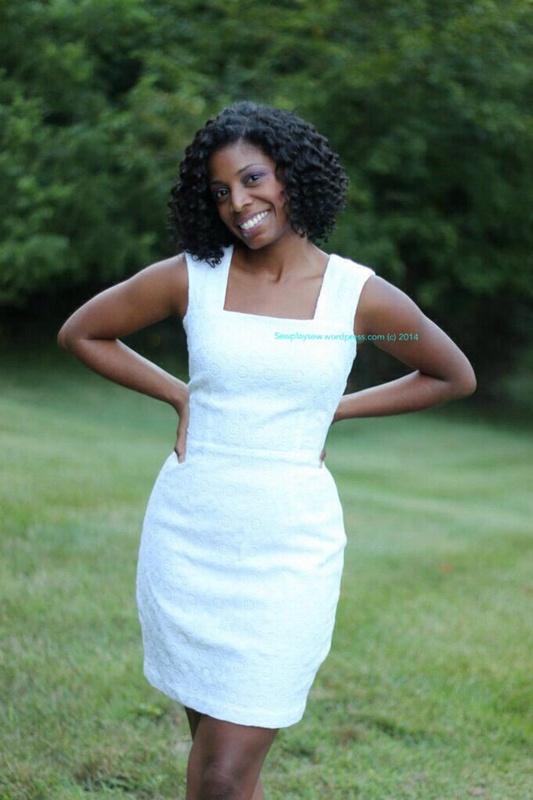 I’m talking shift dresses with good quality fabric, fully lined with invisible zippers. It’s now February and after spending many hours, days and weekends I have finally decided to give up on shift dress number one. This officially leaves me at zero, which means I’m back at one. When it came to attach the lining, I found that the lining was way bigger than the dress. This is so odd because I cut out the same size for both the lining and the fashion fabric! I put the lining in only to realize I had no idea how to attach a lining WITH an invisible zipper. Much agonizing and research ensued. Anyway, I finally figured it out! At last, bliss. Ummm, no. I tried the dress on only to realize the armhole was too tight and the darts were kinda weird. None of this happened with my last muslin. I failed to reinforce the free edges of the wool so my fabric was steadily unraveling and all the picking out I did totally didn’t help. 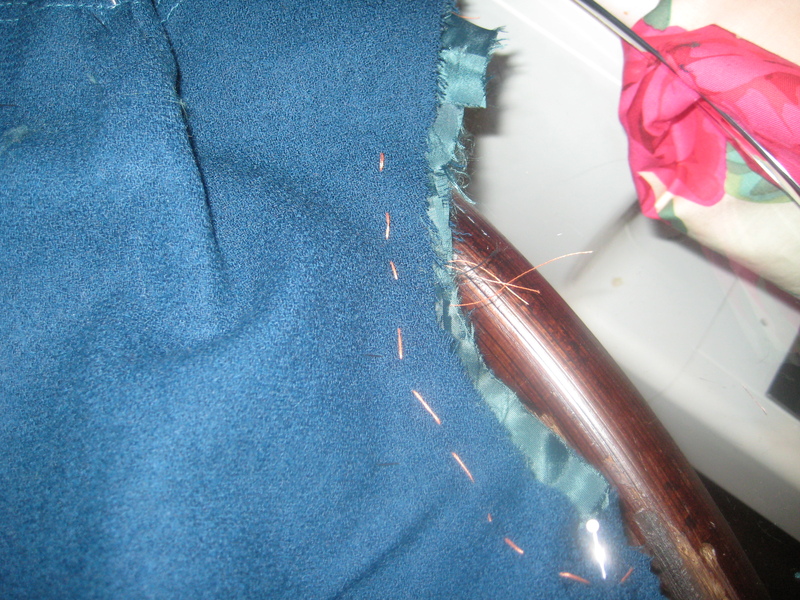 I had picked the fibers down to nil and had very little seam allowance at the shoulder seam by this time. You can see where this is going. It seems there was no way to save this dress. After I chop up the dress I can probably salvage a pencil skirt out of the bottom. I’m totally bummed because I spent SOO much time on this effort and I was loving the fashion fabric! I also had a hard time finding lining to match and the lining color was spot on! All that gone. Although I’m really sad but you gotta know when to hold em’ and when to fold em’ as Kenny Loggins would say :-). 1. Reinforce your fabric edges, ESPECIALLY the wovens that fray. 2. Be extra careful with the iron and there is a such thing as over- pressing a garment. 3. Learn/know more about the properties of the fabric you’re using. 4. How to FULLY line a dress- YAAAAY me! (Seriously I was nervous and sick at the stomach just figuring out how to tackle this). 6. 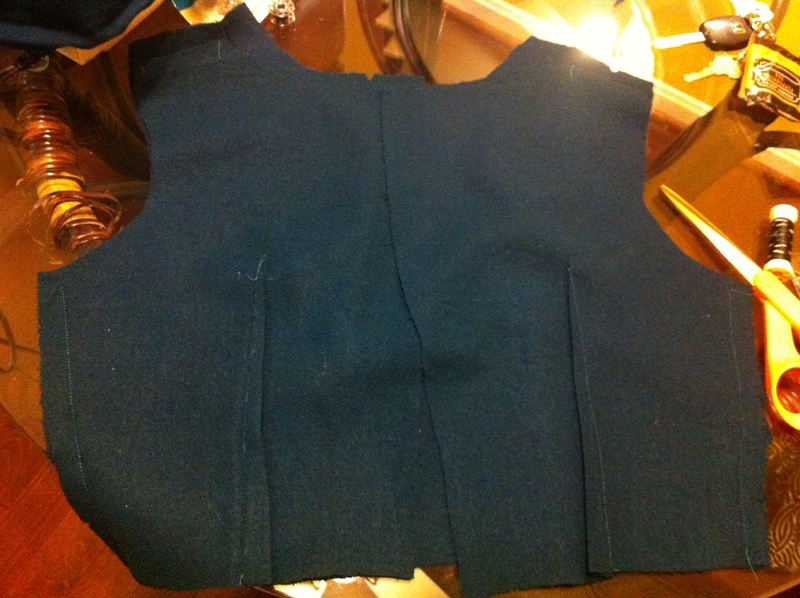 Draft a pattern sloper before tackling any.more.sewing.projects. I think those are invaluable lessons! I just had a friend help me with my measurements and from the interwebs, I am learning how to transfer those measurements to a sloper. Once I have this down set, I am going to get started on shift dress # 1! If at first you don’t succeed, figure out what lessons you learned and put them in practice for your next project.